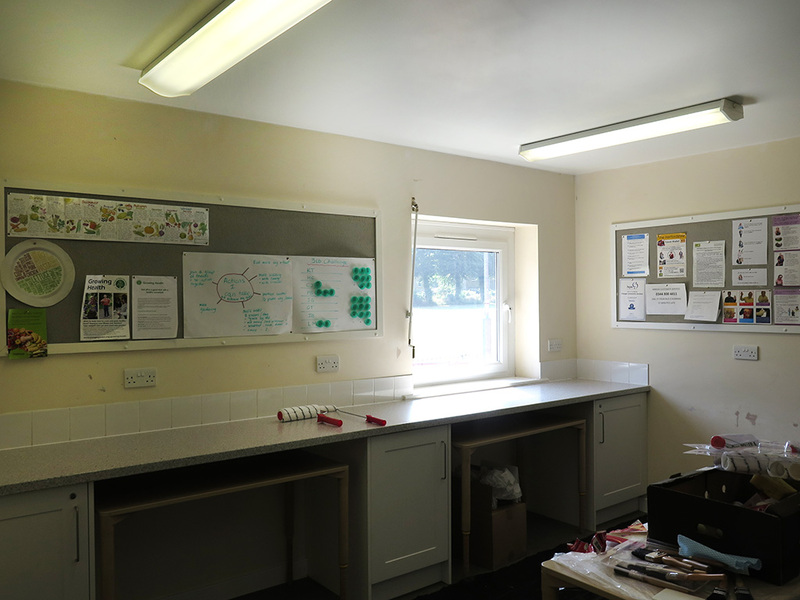 Replacing the old magnolia in the workshop/meeting room (see below) is a beautiful duck-egg blue chosen by members of our Growing Ability and Growing Health projects. 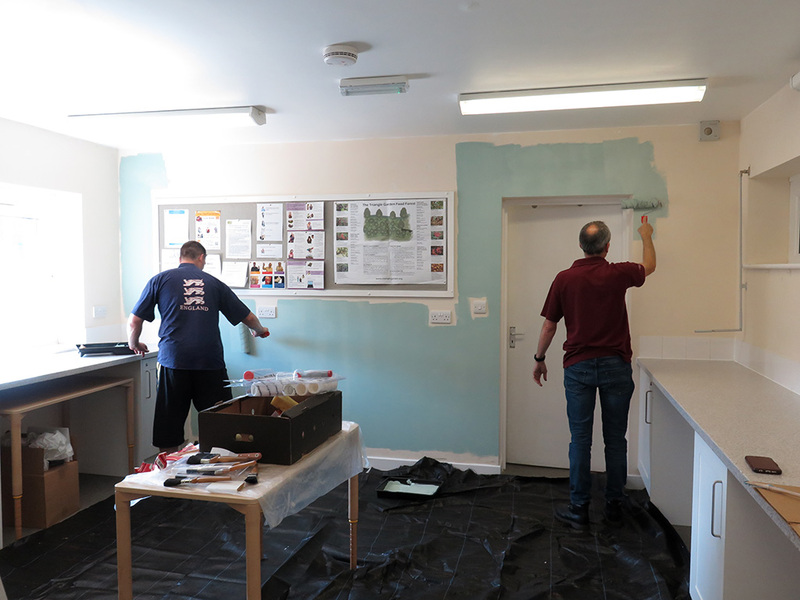 There is still plenty to do for future Crane visits: the kitchen and lobby/toilet areas are yet to be painted, and there are more coats to go onto the doors and skirting but we're delighted with the new colour and how it has cheered the whole place up. The next phase in our refurbishment is to install a large digital screen on the wall that we can use for training and education at our projects. This will also be available for hirers to use for meetings, training and workshops. It's very exciting to see our Pavilion swiftly moving towards being an 21st century bijou venue for meetings and workshops! Thanks to Hitchin Area Committee for funding this initiative and Crane for all their help.